Choe Nowk(Choe): Finland is a country that actively runs the Finnish Library Act. As the winner of the 2013 international competition, the design of ‘Oodi Library’ must have taken such policy into consideration. What were the guidelines of the competition, and what was your strategy to meet those guidelines? Also, could you elaborate on any consequences that occur in this project due to the revision of the Finish Library Act in 2016, when you were proceeding this project? Choe: A unique aspect of the initial design was that there was a ‘sauna facility’ inside the building. Why did you place such type of facility inside the building? Although it wasn’t realized at the end, could you give us more details on what was your idea of that space, and what impact it could have had on the library if it were realized? Woolston: The sauna was in the original competition programme and was taken out by the city library representatives themselves. The original idea was ideologically linked to Roman baths and their traditions of discussing serious topics in a state of relaxation. 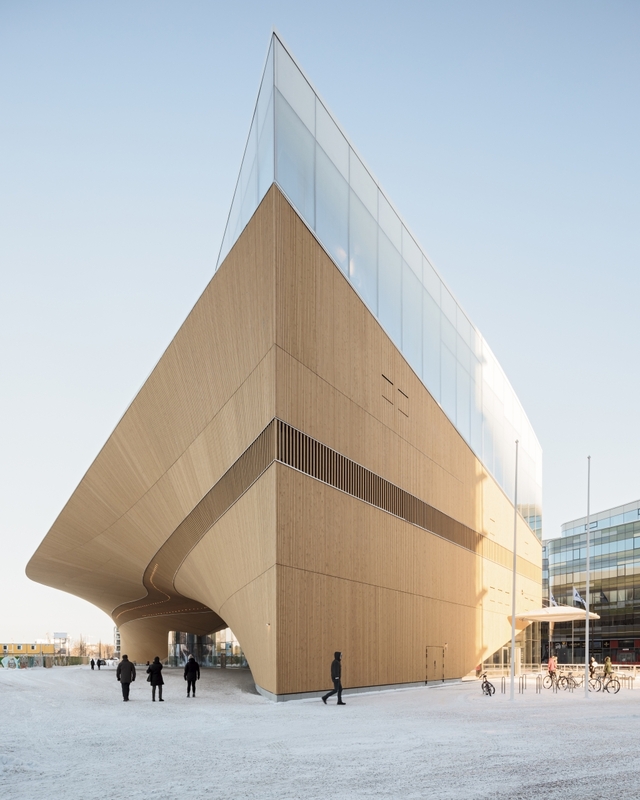 Choe: The facade decorated with timber has an eave-like shape and continues into the interior. This is also an element that forms a sense of open space on the first floor. I would like to hear more about the process of how this geometry was developed. Woolston: The shape comes from the fact that we wanted to have a solid floor containing the smaller spaces for self-expression between the two open floors. We then pulled the solid section onto the cinema on the ground floor and pulled the entrance down to contain the bridge structure creating the vault for gathering below. The cantilevering form creates a covered outdoor performance space below and an outdoor reading area above. The wood gives a welcome softness to the whole area and is the traditional material for houses in Finland. Choe: Instead of placing columns, the structure was supported with a 100m-long steel arch, in order to give a sense of continuity between the square facing the building and the lobby on the first floor. Apart from minimizing the use of columns, what other impacts did this large arch structure have in the spatial composition? Woolston: It is meant to welcome people and describe the use of the space: Gathering. Choe: As it was the same for the other projects of ALA Architects, the use of local materials in Oodi Library is being emphasized. 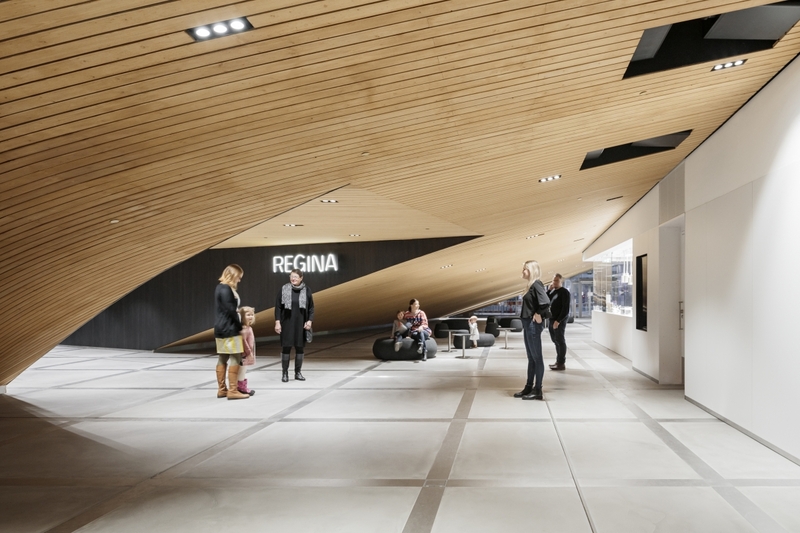 What kind of climate characteristics does the timber that was used on the facade have? Besides this, are there any other materials that were used distinctively? Woolston: Finnish spruce stores carbon well. Most of the load bearing roof structure is in pine. We also used local steel and concrete companies in the projects. Choe: The third floor where books are displayed is distinctive for having a few round skylights and a huge glass wall on the side. 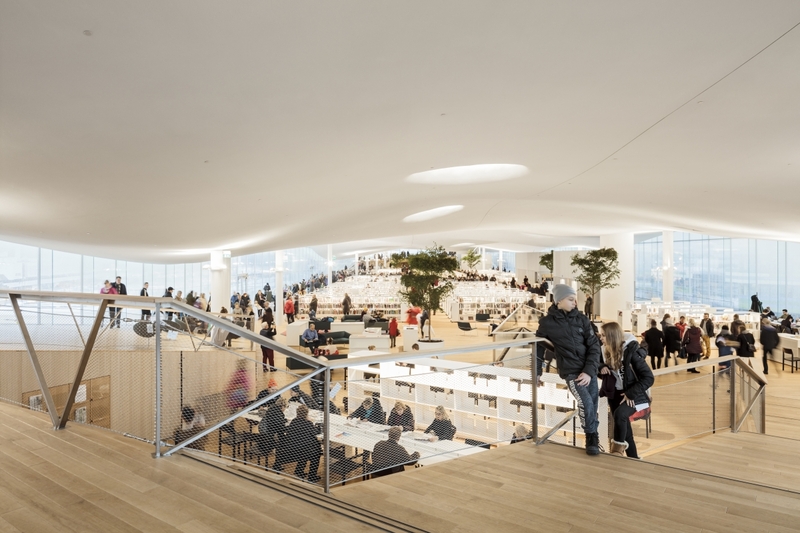 What was your intention of bringing a lot of light into this building, even though books are generally vulnerable to light exposure? Woolston: The third floor is open to the city in all directions but lifted above the bustle. Architecturally it has the qualities of an open landscape with “hills” at each end and plenty of natural light. Sun light is also more ecological and pleasing to the eye. These are not rare books, but modern ones which are not vulnerable to light. Choe: Rather than having a single specific purpose, Oodi Library was designed as a multicultural facility. Since the use of the building is more determined by the users, I would assume that the area in which the architect is involved in the building will also be different. I wonder what kind of position and stance ALA Architects takes when designing a ‘free space’. 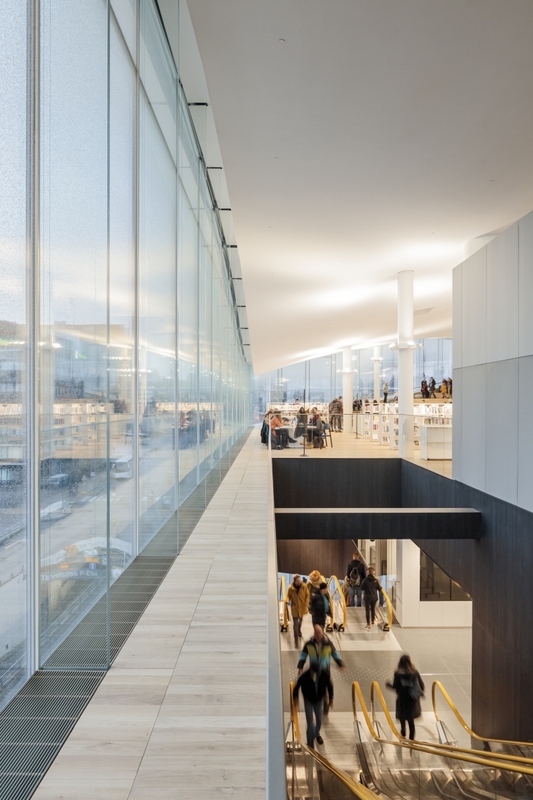 ALA Architects specializes in demanding public and cultural buildings, transportation terminals and unique renovation projects. The Helsinki?based firm was founded in 2005 and is today led by Juho Gronholm, Antti Nousjoki and Samuli Woolston. 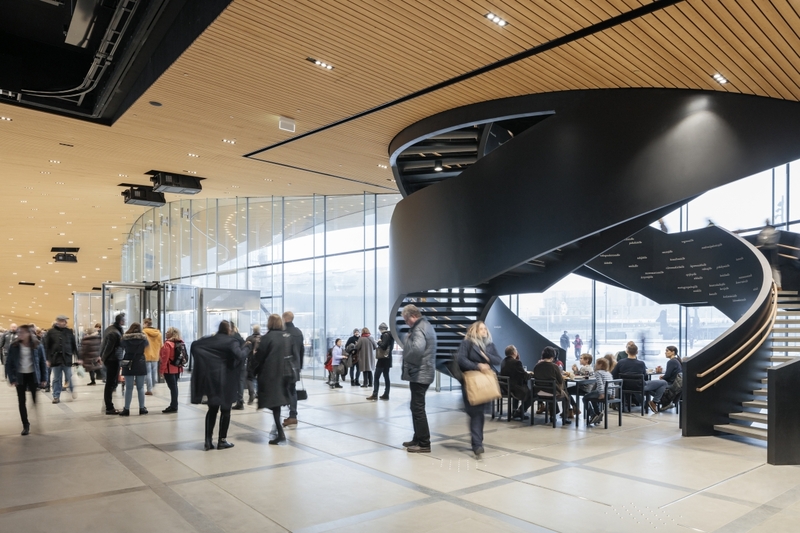 In addition to the Oodi Library the office has completed such projects as Kilden Performing Arts Centre in Norway, the renovation of Finnish Embassy in New Delhi, as well as the Aalto University and Keilaniemi metro stations and the renovation of Aalto University’s Dipoli Building in Finland. 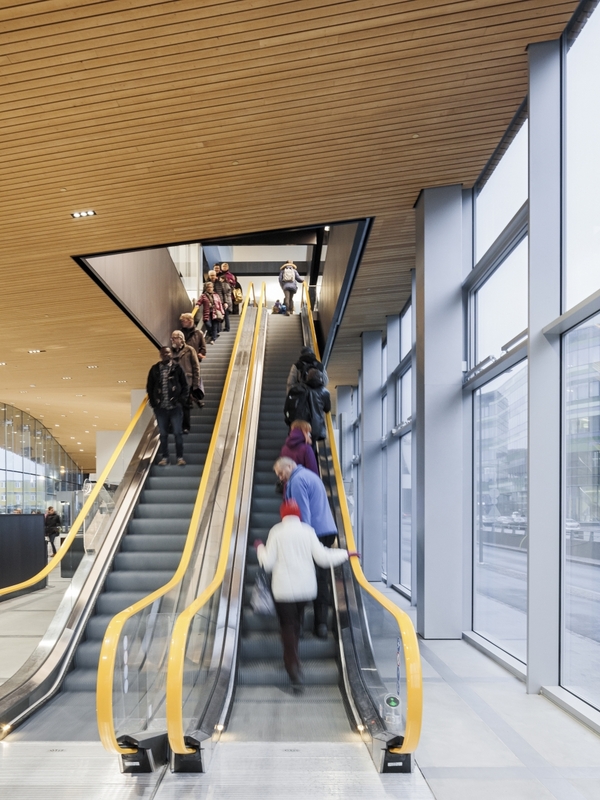 ALA’s current projects include three more metro stations, a hotel and the expansion of Helsinki Airport.